So, I had a hankering for potato salad last month, but had no potatoes. No problem, I decided to use yams instead. But then, I had no celery and no pickles either. I did have broccoli, so I thought why not? Well, it turned out so delicious I made it again, even buying broccoli for the purpose of making the salad. So here it is. Peel and cube 4 medium yams. Makes about 6 cups of yams. Add to salted boiling water and cook for about 10 to 15 minutes, so they are fork tender. Rinse in cool water so they stop cooking. Drain and refrigerate until completely cooled. Peel and dice one large red onion. Peel the stem of a broccoli top. Chop the stem and florets into small pieces. Mix together and dress with your preferred dressing. My dressing is a light lemony one with a hint of mustard. I zested one lemon into the salad. In a bowl, I mixed the juice of one lemon (2 TBSP) with 2 TBSP of apple cider vinegar and 2 TBSP of olive oil. I then added 1 tsp of mustard, salt, and pepper and mixed together. Then I tossed it with the salad. This makes about 8 cups of salad. It’s very light and fresh in flavor, allowing the yams to be the star. In a saucepan, bring 3 cups of salted water to a boil, add 1 cup of rinsed wild rice. Let cook on a low boil for 40 minutes or until rice is tender. Check frequently and stir so it does not boil dry. Pour into a colander when done and let drain until completely dry. I left it in the fridge overnight. I added salt and pepper to taste in the morning. Seasoning during each step makes for a richer flavor without over-seasoning. 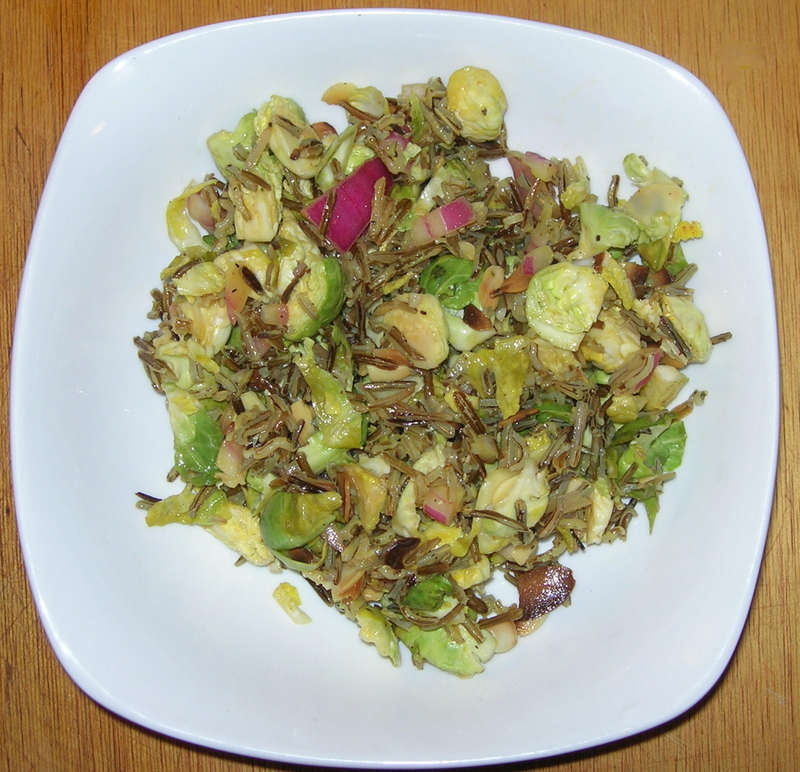 Clean 1 pound of Brussels sprouts, cut the bottoms and any damaged leaves, then slice into thin strips that you can break up into individual pieces. After I finished cutting all the sprouts I broke the slices up by working with my fingers. Heat a skillet on medium, grate fresh nutmeg into the pan and toast until the aroma rises. Add a few handfuls of sprouts and saute until just warmed through. Repeat until all the Brussels sprouts have been sauteed. .In same pan, toast 1/4 cup of slivered almonds. Make mustard vinaigrette to dress the salad. 1/2 teaspoon freshly ground black pepper. Stir this into the salad and let rest. It really takes a couple hours minimum to reach its best flavor, so make ahead and let rest. I made this for Thanksgiving Dinner. It makes 8 servings. It was a hit, there’s a nice toothiness from the rice, a nutty flavor, and a bit of crunch. It’s also colorful with the brown, bright green, and the purple of the onions, looking lovely on the table. A bold and fresh-tastic salad for summer made with the tasty vegetables and fruit from Imperfect Produce. 1 grapefruit, supremed. (Cut away peeling, and slice the segments into wedges.) Cut over the bowl, squeeze out all the juice you can into the bowl to dress the salad. 1/2 small fennel bulb, sliced thinly on a mandoline. I just made this right in the bowl. Mixing things together as I cut them. I blended the maple syrup and vinegar before adding it to the salad and stirring it all in. The bit of syrup is the perfect complement to the grapefruit. The salad is fresh, vibrant, and full of flavor. Fennel is a flexible vegetable that really needs to be used far more often. Makes one salad entree. This is a light, fresh dressing for a delicious salad. This makes enough dressing for a large dinner salad or four side salads. 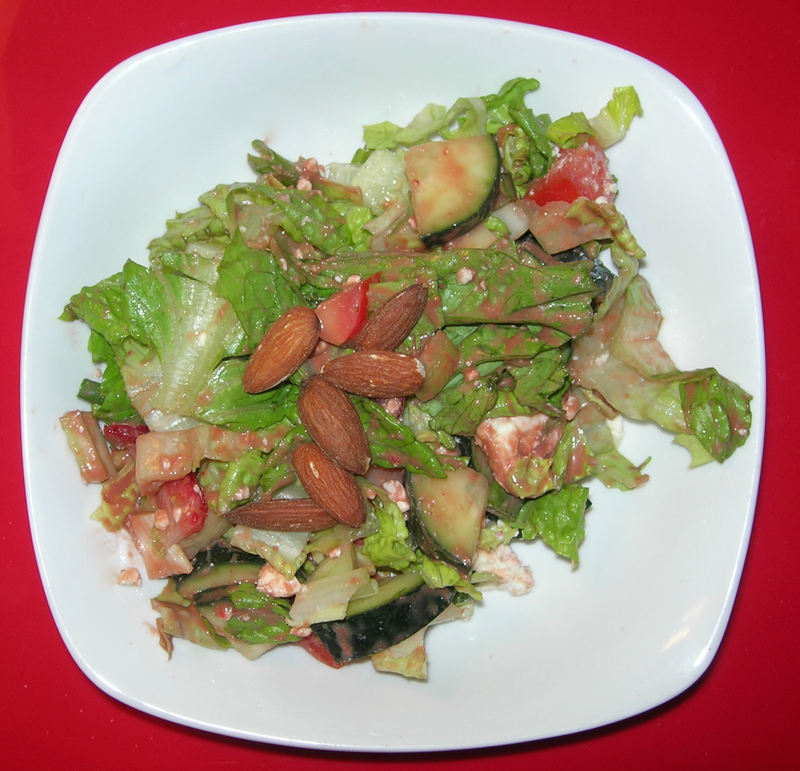 The salad is a lovely mix of sweet and sour, the balsamic adds a deep richness that makes any salad a treat. Ever since I read the words tomato jam in some book about the South, I have been thinking I need to try it. When there were two freah tomatoes in my Imperfect box this week, I knew its time had come. Put all the ingredients in a heavy saucepan and bring to a boil while stirring steadily. Turn the heat down to low and let simmer for about 90 minutes, checking and stirring every 15 minutes or so until reduced to a thick jam texture. Store in a covered container in the fridge. It will keep for a couple weeks, but it won’t last that long as it’s so good. This makes about 1 cup of jam. So wow! This is so good. It’s got this amazing sweet and sour flavor that would be good on just about anything. There’s some great heat from the ginger and red pepper flakes, there’s this aromatic oomph from the cloves and cinnamon and truly, my house smelled like tomato heaven. Here are a few sandwich options. I toasted and yes! those are heels because I like how crispy they get when toasted. It makes me think this may be really delicious on knäckebröd and makes me want to go to Ikea. On the left, toast, tomato jam, sliced cucumber, and grapefruit. 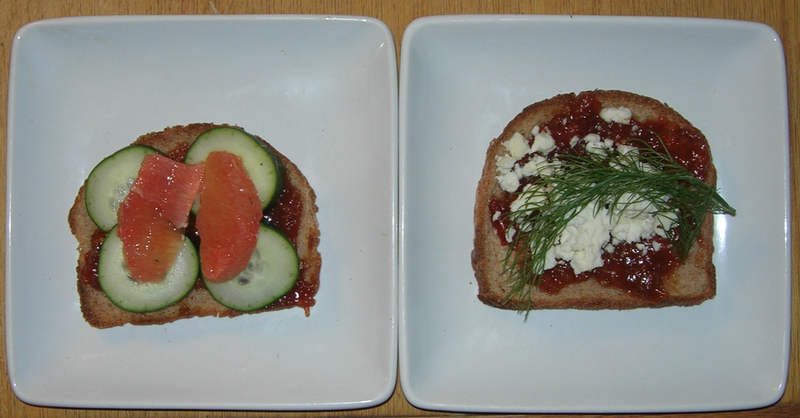 On the right, tomato jam, feta cheese, and a sprig of fennel. Here I used knackebröd with tomato jam. 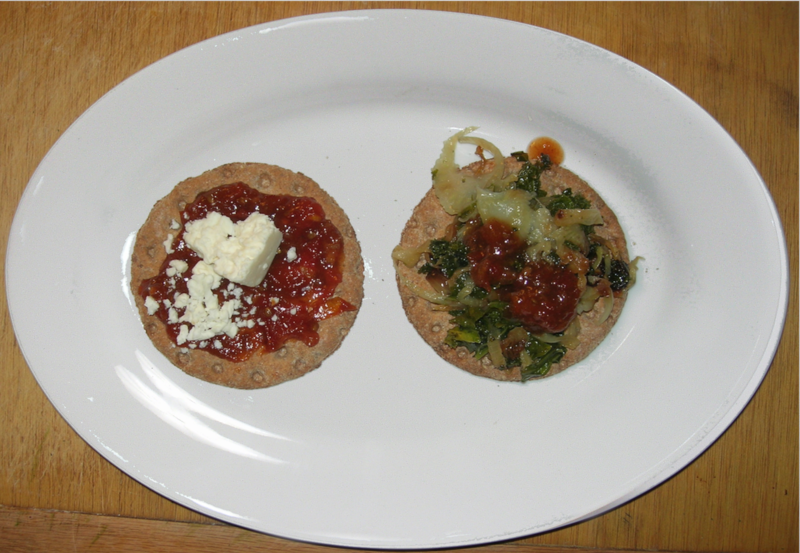 On the left, I added feta and on the right, I used sauteed kale, fennel, and onions from the grilled cheese. I went to Harvest Share at the Ortiz Center yesterday and took home a huge bag of kale, sacks of carrots, rutabagas, and onions and thought this sounds like salad. I stripped the kale leaves off the stems and chiffonaded the leaves. I put a big plastic container on my scale to set the tare weight to zero and added the chopped kale until I had a half pound of prepared, chopped leaves. It was sort of heaping over the top of the container, but that’s okay. Kale is one of those duplicitous vegetables that lose their volume when you cook with it…even if all you do is massage oil, vinegar, and salt into it. That heaping over the top kale will be just over half full in no time. 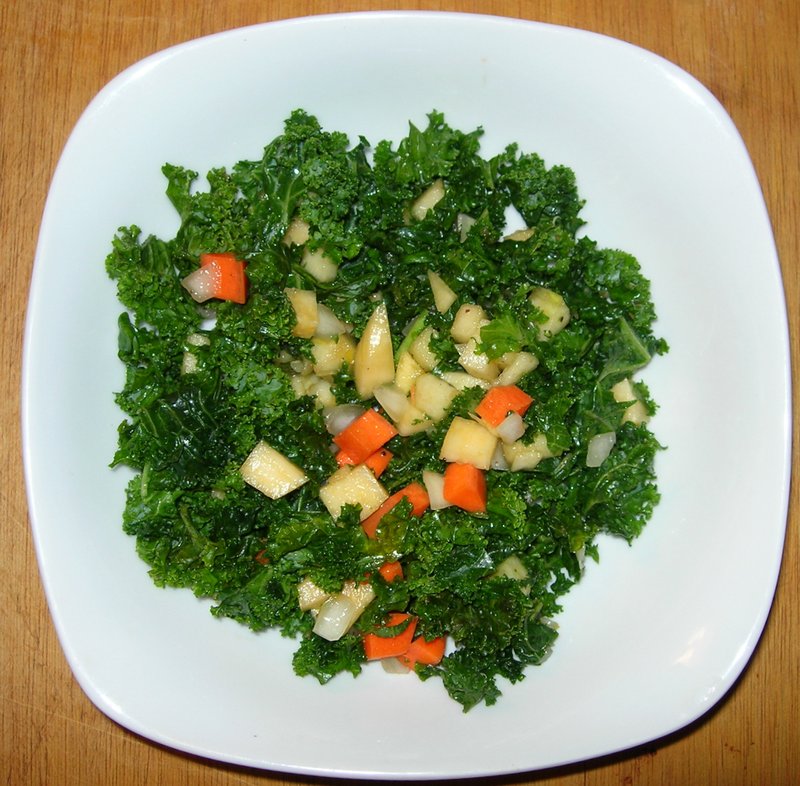 So, once I measured the kale, I added 1 TBSP of olive oil, 1 TSBP of apple cider vinegar, and 1/2 tsp of salt. Using my fingers, I worked this into the kale, massaging it toward tenderness. It lost about 1/3 of its volume. 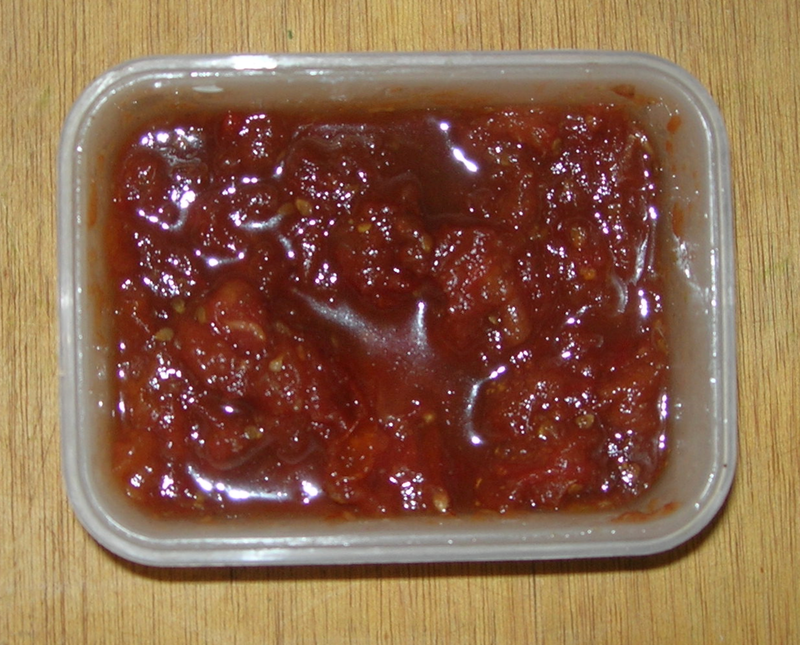 I covered the container and set it aside, unrefrigerated, to continue “cooking”. While it “cooked”, I made the dressing and chopped my veggies and fruit. In a bowl, I zested one lemon before juicing it, To the zest and juice of one lemon, I added 1 TBSP of soy sauce and 1 TBSP of maple syrup, and some pepper. I stirred and set aside. There’s no oil in this dressing because it will get plenty from the kale. I peeled an apple and diced it into pieces about 1/3 inch squares. I peeled and chopped a medium-sized carrot – 1/3 inch squares. 1 diced 1/2 a yellow onion. I peeled a rutabaga and chopped it into 1/3 inch squares. Peel deeply into the rutabaga, not just the outer skin, but also that heavy, woody rind. It’s usually just easier to cut it away. All the pieces should be about the same size, as though making a chopped salad. Add the vegetables to the kale. Toss with the dressing. I put the lid on and shook and shook and shook to distribute it evenly. 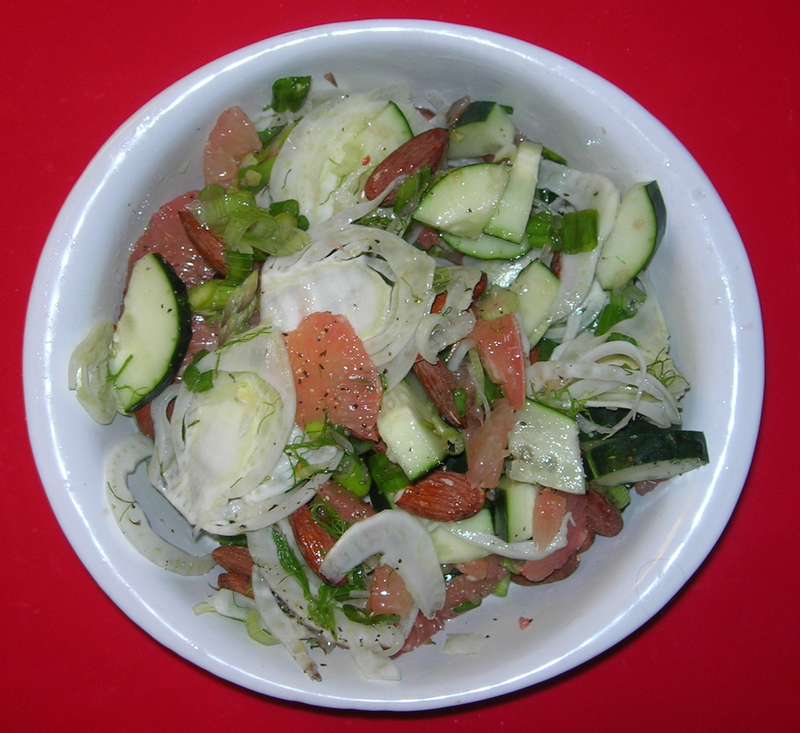 Ideally, the salad will be fully dressed, but there won’t be any liquid gathering in the bottom. The kale has that earthiness that makes for a great foundation for salad. The carrots add sweetness and the rutabagas and lemons add a bright tang. You get just a bit of sweet and sharp from the onions. The maple syrup does not make this sweet but instead add this wonderful note for the aftertaste. I took a half of a cucumber and peeled it, cutting it into quarters so I could easily remove the seeds. Then i chopped into 1/2 inch bites. I supremed one small grapefruit, cutting off the pith and peels and cutting the segments free. I chopped two green onions and about 8 pieces of cilantro. I mixed this all in a bowl with some salt and pepper, a sprinkling of red pepper flakes (just a few flakes!) and 1 tsp of maple syrup (good maple syrup!). Shake it up a bit and serve. Makes one serving. I kind of thought the maple syrup would make magic and it did. There’s just the tiniest bit of heat and a hint of sweetness, perfectly tempered by the freshness of the cucumber and the bright zesty grapefruit. This was so good I wish I had made double. 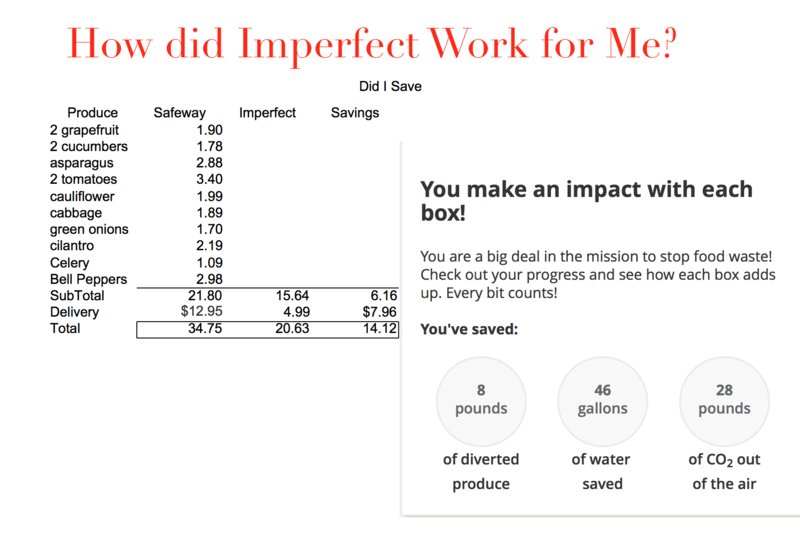 Now about Imperfect Produce. 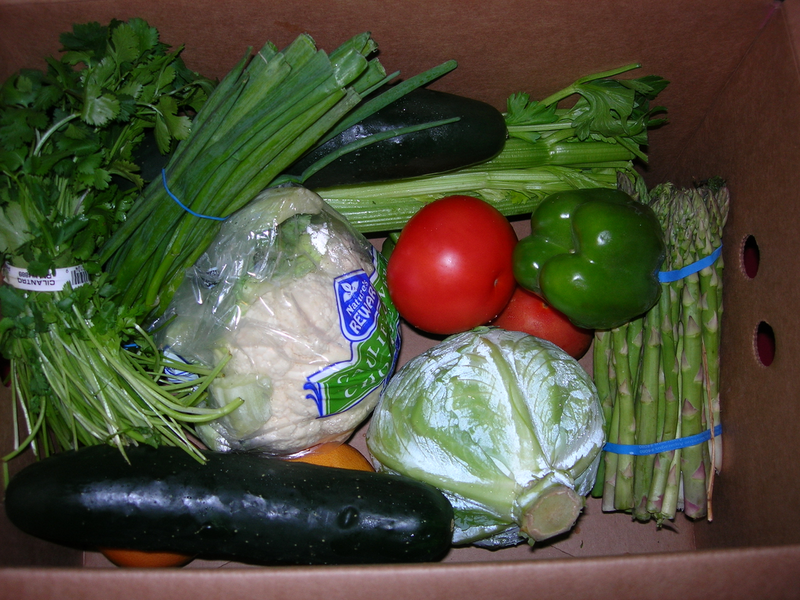 A friend forwarded the site to me on Facebook, knowing that I have to be careful about spending and how I rely heavily on the Oregon Food Bank’sHarvest Share to have enough vegetables since the regular food banks are heavy on carbs. I decided to give it a try because saving money and saving the environment sound like a good plan to me. Below are the results. As you can see, my imperfect produce is not that imperfect, I see a little dent in the cucumber, but nope, not that imperfect. They are incredibly fresh. I ate the first grapefruit just as a fruit and ended up with grapefruit juice everywhere. It was delightfully messy. And look how much I saved! In a saucepan, heat 2 TBSP of olive oil over medium heat. Add 1 diced yellow onion and 2 cloves of garlic, crushed and minced, 1 tsp of dried thyme, 2 bay leaves, 2 bags of black tea (Remove the string. ), and salt and pepper. Cook until the onions are translucent. Add 1 cup of dried lentils and 4 cups of vegetable broth and bring to a boil before lowering to a simmer and putting the lid on to simmer for about 20 minutes until done. The tea adds a bit of smokiness and umami to the lentils. Peel and chop one rutabaga into half-inch pieces. In a cast iron skillet, heat 2 TBSP of olive oil over medium heat. Add 1 TBSP of Jamaica jerk seasoning and 1 TBSP of curry powder to the oil and heat until the aroma blooms. Add the chunks of rutabaga and sauté for about ten minutes so the pieces start to soften and brown a bit. Add about 1/2 cup of water and put the lid on for about 10 minutes or until tender. Add the rutabaga to the finished lentils. Stir, and add 1 TBSP of balsamic vinegar or more to your taste. The vinegar’s tang will reduce the heat from the Jamaica jerk and curry powder. 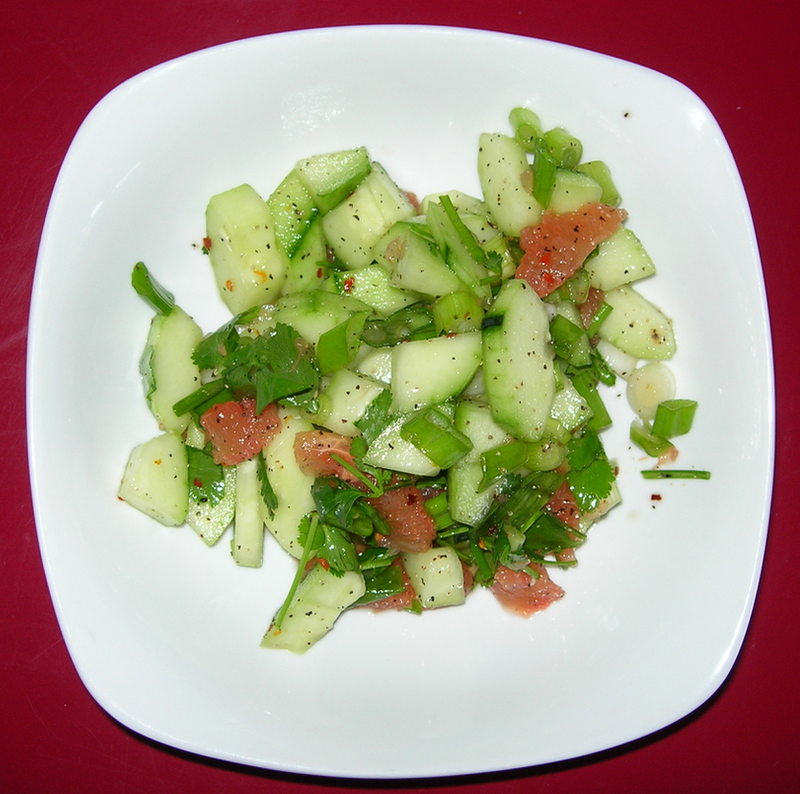 Serve with a bit of fresh chopped cilantro on top. 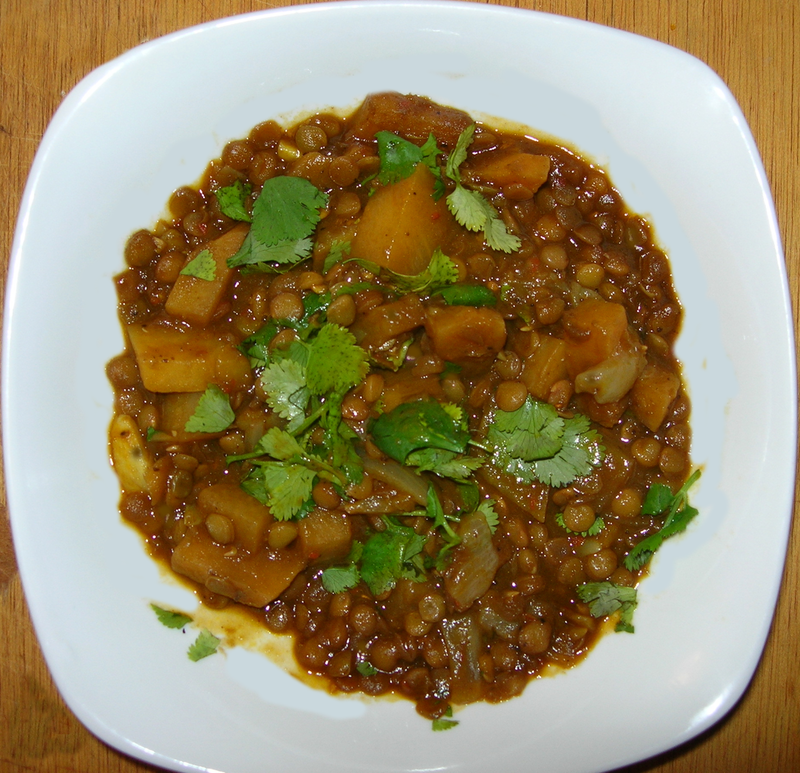 The cool thing is that while the flavors blend beautifully, the constituent parts retain their individual flavors, so the rutabagas have that heat and the lentils that rich smokey heartiness. This is a thirty minute or so dish and serves eight. I know it’s not a single serving, but rutabagas are HUGE! The thing is, it reheats perfectly and only gets more delicious the next day. I love wheatberries in a salad. They have a toothsome quality that makes a salad substantial and filling. They take a while to cook, but they are cheap, far cheaper than farro, and add a delicious nuttiness to any salad. To make wheatberries, put one cup of wheatberries in a sauce pan, add 3 cups of water and salt. Bring to a boil, reduce to a simmer and put the lid on the pan. Check back after 30 minutes and then keep checking until they are chewy. It can take up to 50 minutes or so, depending on the specific kind of wheat. Some people like toasting the wheatberries for 10 to 15 minutes in a medium oven (350°) before boiling them to make them more aromatic and nuttier. I am usually too impatient and don’t think it makes a big enough flavor difference. After the wheatberries are tender, drain in a colander, run cold water over them and let them drain until they are dry and cool. You can store in the fridge if you like. Bias cut eight asparagus stalks into 1 inch long pieces. This exposes more of the tender interior so they absorb vinegar dressing. Add to the wheatberries along with 1/4 cup of dried cranberries. Add 2 TBSP of balsamic vinegar. (You can add more if you like. )Shake, cover, and store in the fridge for a few hours before serving. 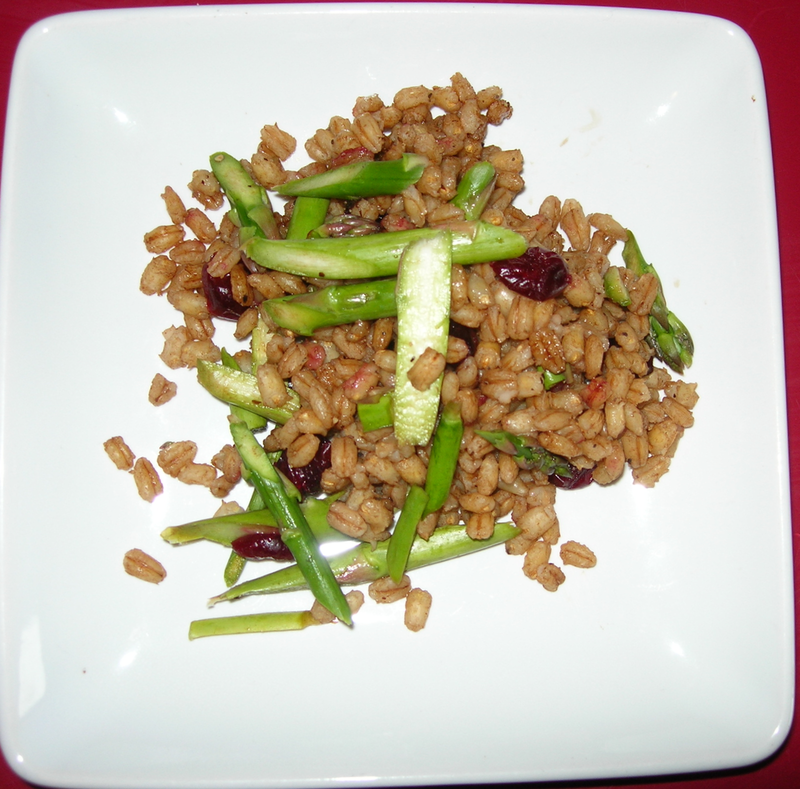 This is a tangy salad with plenty of crunch from the asparagus and a tart sweetness from the cranberries. All three ingredients love balsamic vinegar. I used to attend a board meeting six hours away and to save money, lunch was always potluck. I used to open a bag of frozen asparagus, toss in a 1/4 cup of balsamic vinegar and by the time we got there, it was thawed and marinated. Yum! People always asked how I managed to make such delicious asparagus, hah! Vinegar “cooks” veggies so well. I made two salads with wheatberries today. I just doubled the wheatberry part and divided the cooled wheatberries when they were ready. I figure if I am going to make something that takes nearly an hour, I will make the most of it. I got a big bag of huge rutabagas from Harvest Share. Just so you know, in England, they call rutabagas swedes, and this Swedish-American can remember stopping at a roadside vegetable stand on the way to my uncle’s house in the fall and Dad buying some rutabagas, peeling them and cutting them into chunks, and we would eat them raw, the way some people eat apples. 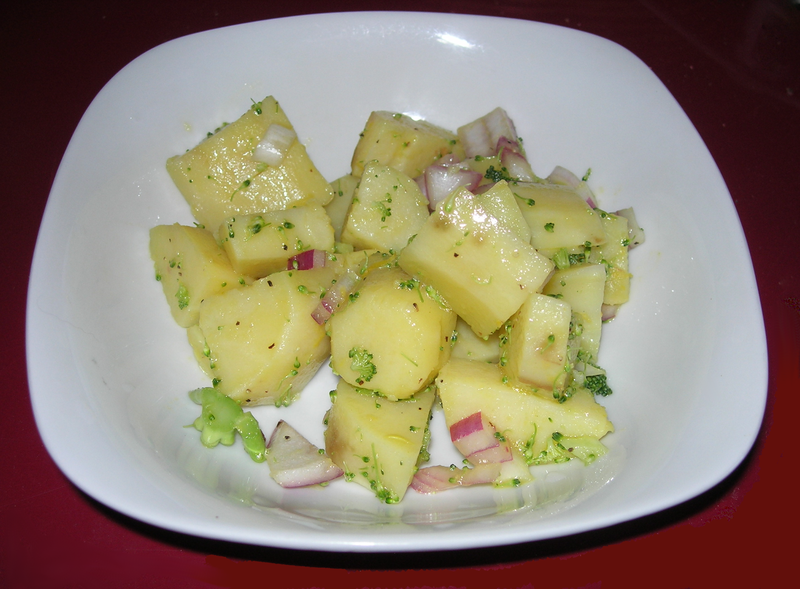 I have always loved rutabaga and think it might be in my genes. Still, I wanted to create something new. I was thinking about Dad and how very Swedish they are and thought it might be interesting to use caraway which anyone who has tasted aquavit knows can be a fabulous, vibrant flavor that Swedes love. This made me think of caraway cake and how much I like adding lemon zest for a brighter flavor and from this came this new recipe, a lemon, caraway, and maple dressing that is a revelation. 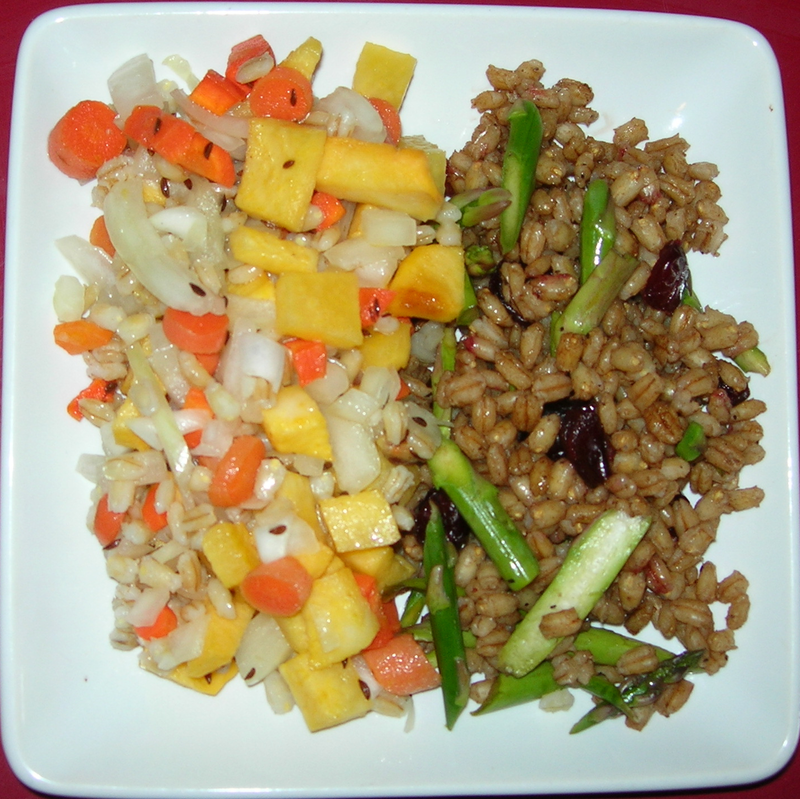 Start by making the wheatberries since they take the longest time and must cool before you make the salad. Meanwhile, peel and dice one large rutabaga into 1/2 square pieces. Rutabaga is kind of tough, so I cut 1/2 inch slices, stack them and slice into 1/2 wide sticks, and then cut the sticks. Should be about 2 cups. Spread on a flat cookie sheet and bake for about 10-15 minutes at 450°. Check after 10 minutes because you want them just tender enough without changing color or becoming soft. This is a crunchy salad, not a tender one. Peel and dice one medium yellow onion. Don’t bake the onion! Heat a small pan over medium heat. Add two teaspoons of caraway seed and toast until the aroma permeates the air. Add 1 TBSP of olive oil and continue to heat for about a minute, so the caraway flavors the oil. Squeeze the juice of one small lemon, stir and add 2 TBSP of maple syrup and 1/4 cup of apple cider vinegar. Remove from heat, add the zest of the lemon. 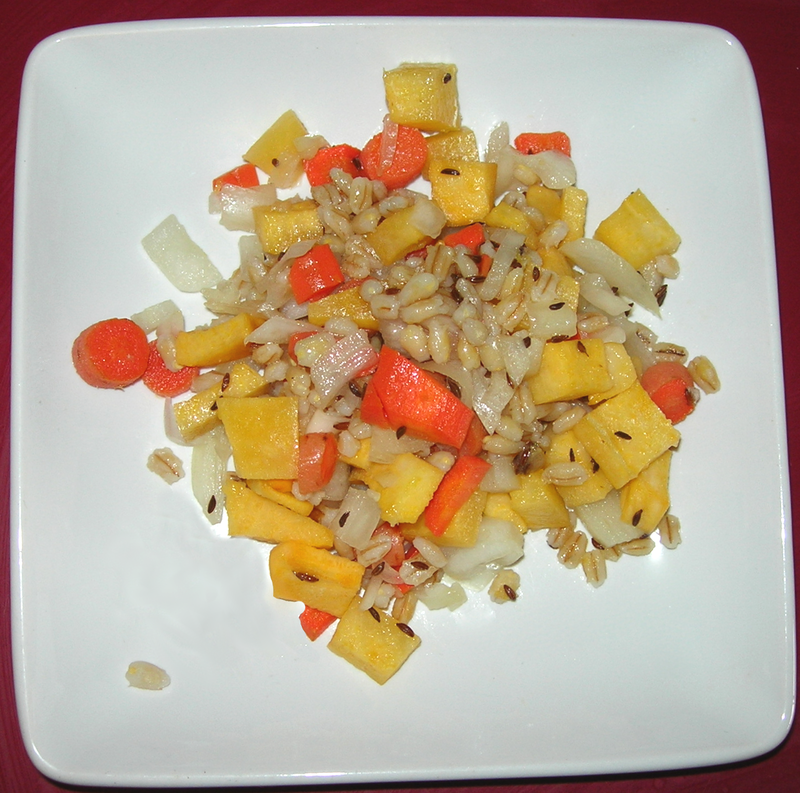 Add the onions, baked rutabaga and carrot chunks to the wheatberries, stir together and pour the dressing over the salad. Put a lid on the container and shake, distributing the dressing. Store in the fridge for at least two hours before serving. So this is delicious. The maple-caraway-lemon dressing is everything and goes so well with the rutabaga. There is a brightness to the salad and the caraway has a homey, familiar flavor. I actually doubled the wheatberry recipe in order to make two salads because anything that takes up to 50 minutes to cook on the stove is a big time investment in my opinion, so I want to make it worth it.